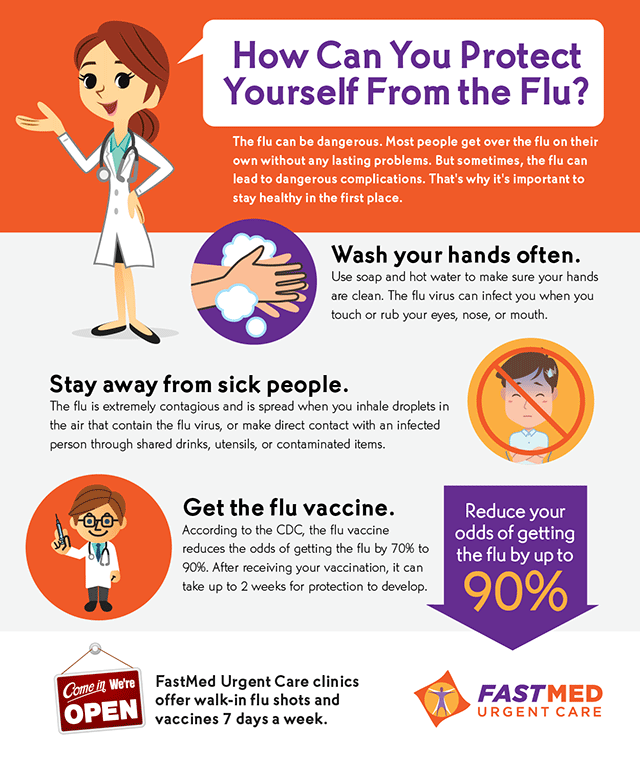 At FastMed Urgent Care, we’re gearing up for flu season, which typically occurs during the fall and winter. The flu doesn’t normally cause more than a few days of nausea, vomiting, fever, sore throat, and muscle aches, but in some cases it can lead to pneumonia or other complications that may require hospitalization. Avoid the flu by getting your flu shot at FastMed Urgent Care as soon as possible. Check out this infographic for more ways to stay safe and healthy!